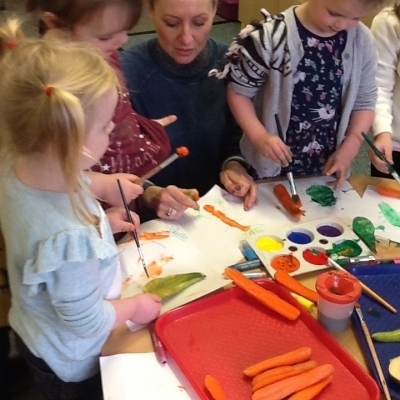 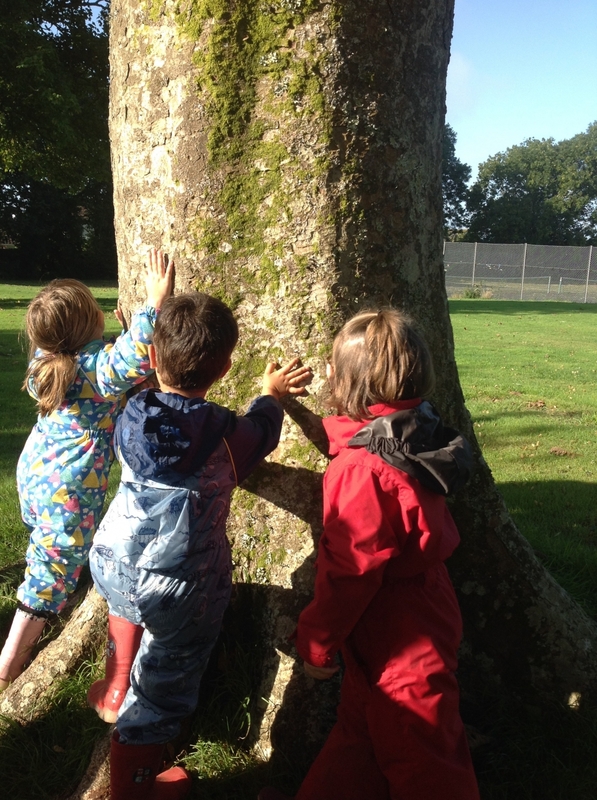 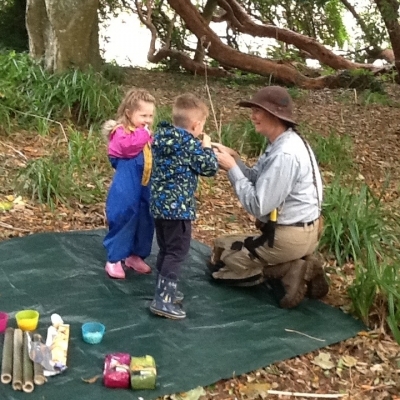 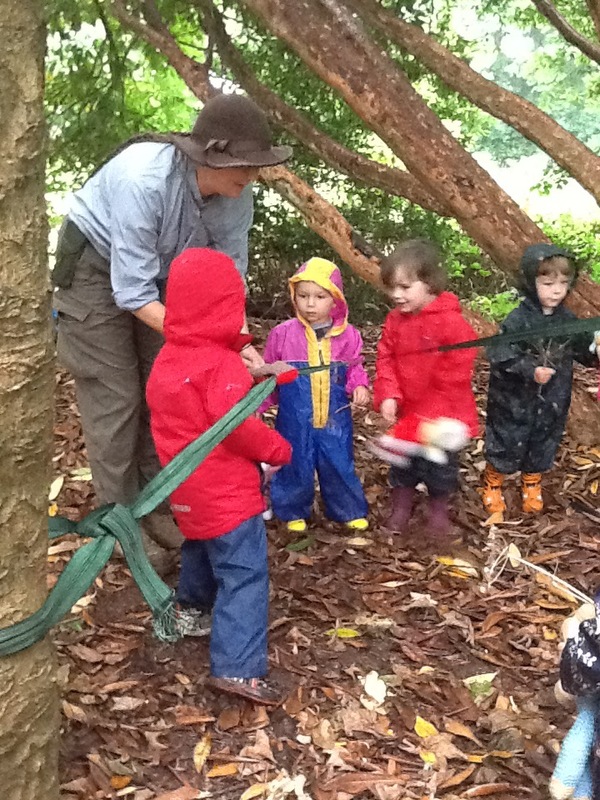 Pre School have had a very exciting first block of sessions with Sarah from Great Scott Adventures. 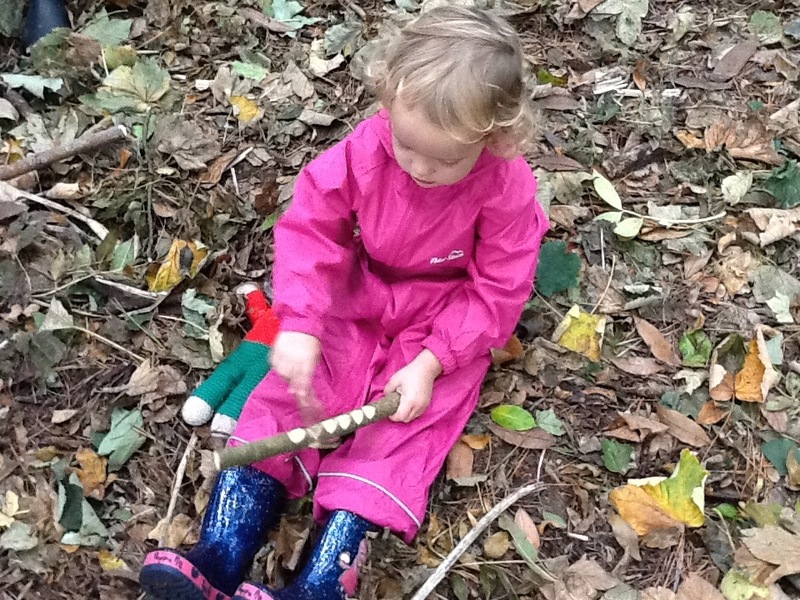 See the gallery below! 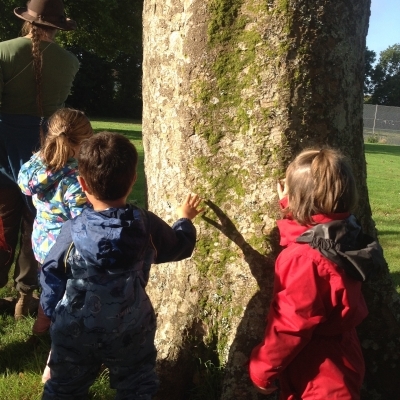 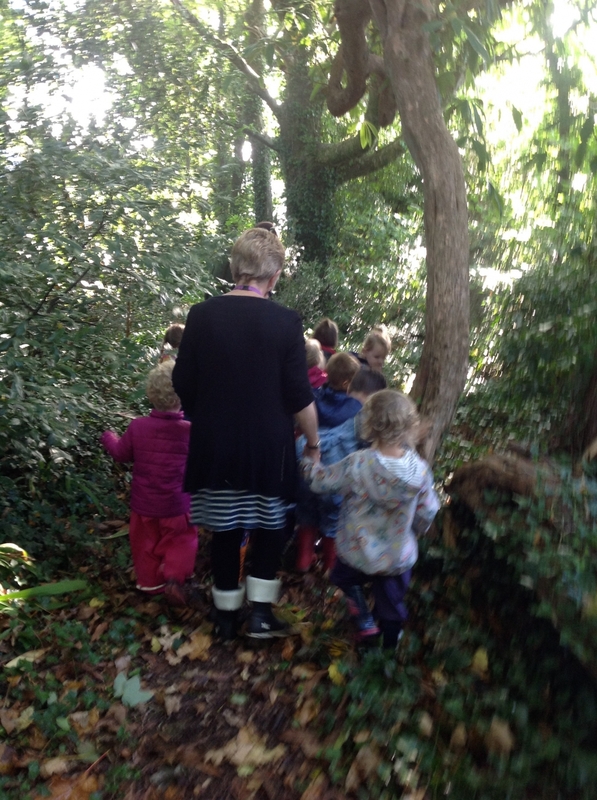 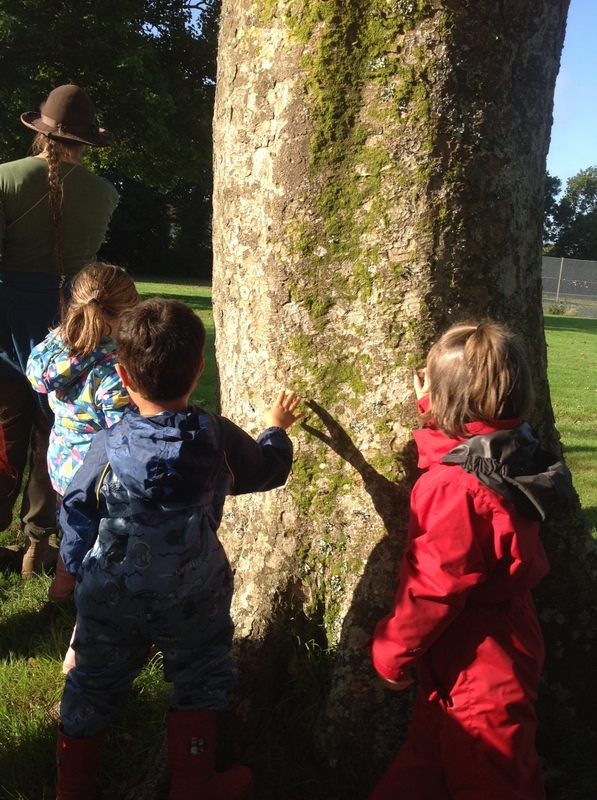 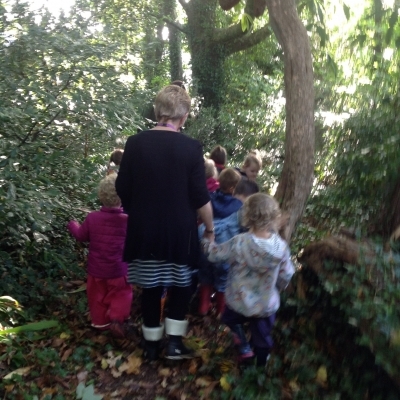 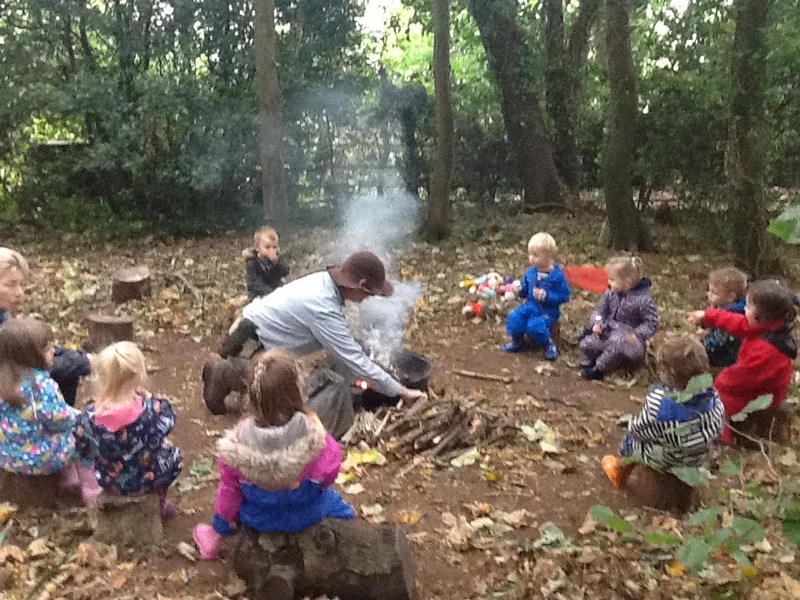 The children have thoroughly enjoyed their first half term of Forest School with Sarah the forest school leader from Great Scott Adventures. 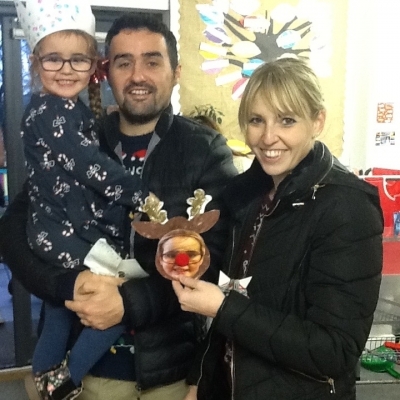 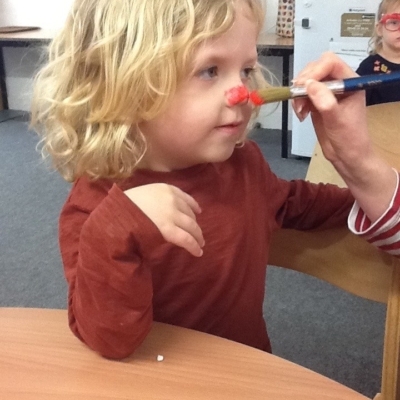 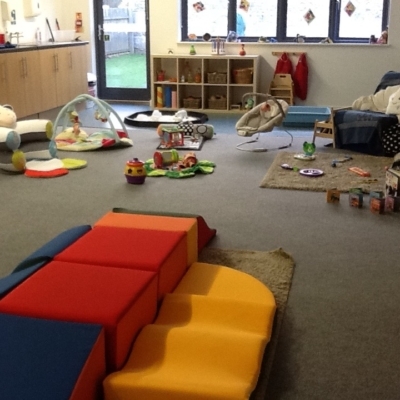 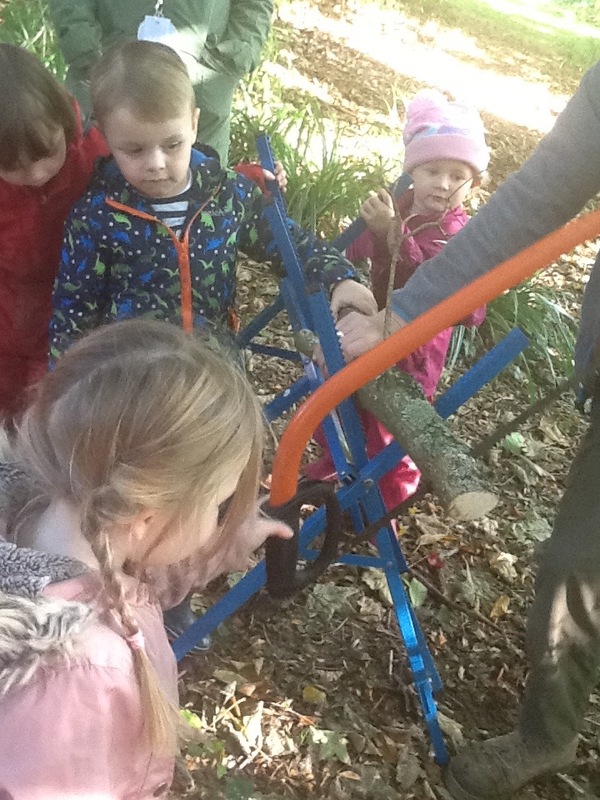 We have attached a group of photographs and a couple of videos to give you a taster of the activities the children have enjoyed. 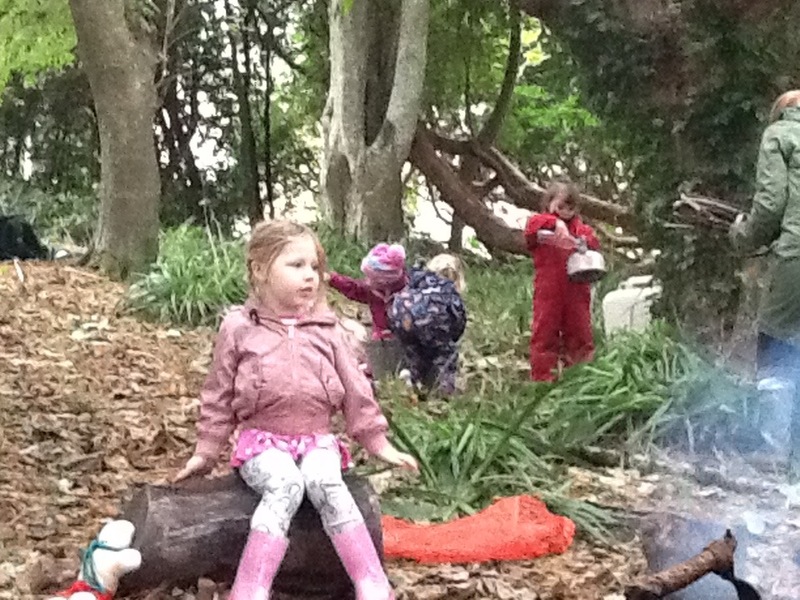 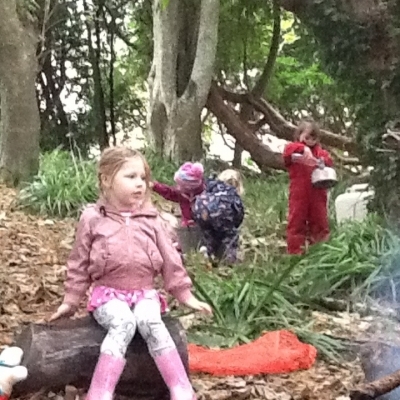 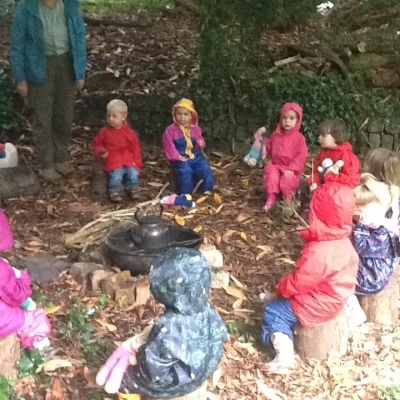 Each week the children sit around the fire circle and enjoy seeing the fire being lit. 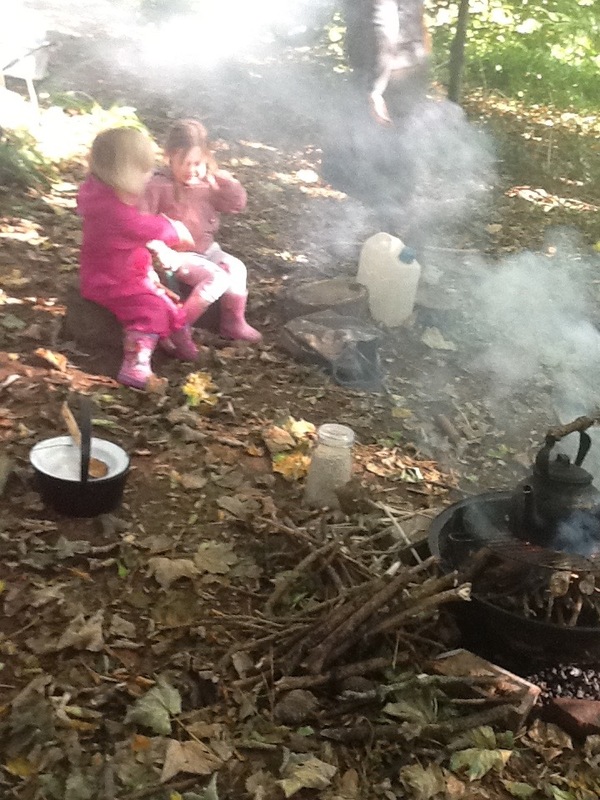 They warm the water for their hot chocolate on the fire in the kettle and sometimes cook snack on the fire too. 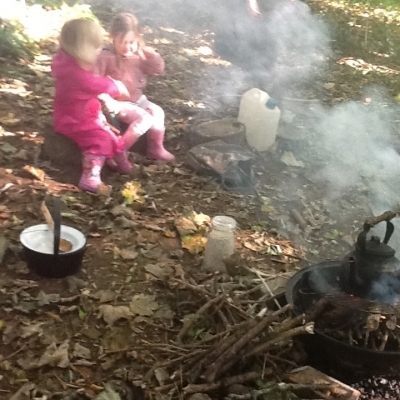 Snacks the children have enjoyed this half term are: porridge when they explored Goldilocks and the 3 bears week, Carrot fritters, apple crumble for apple week and this week they made nettle crisps! 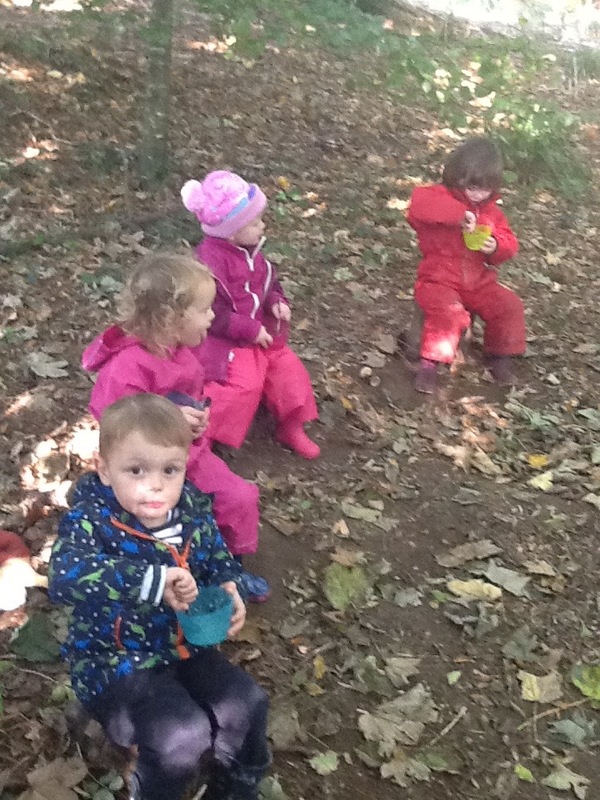 After snack the children independently wash their dishes which they thoroughly enjoy. 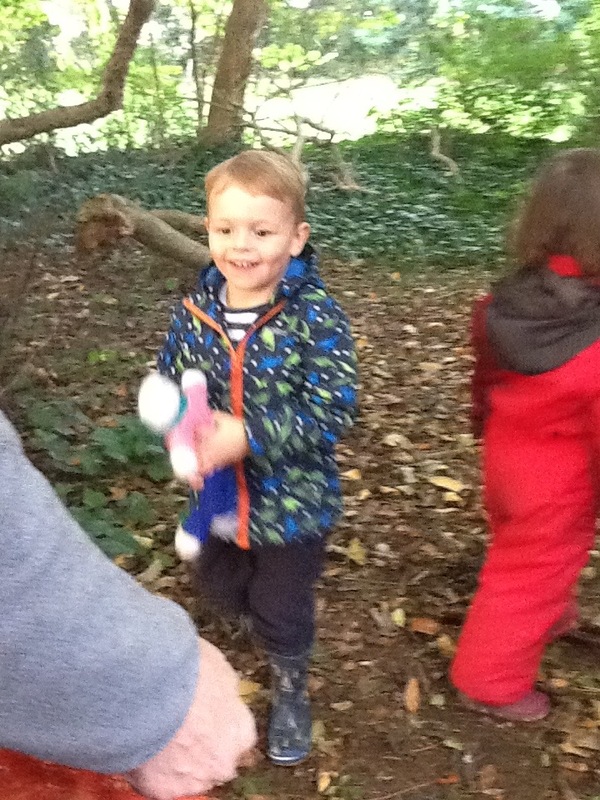 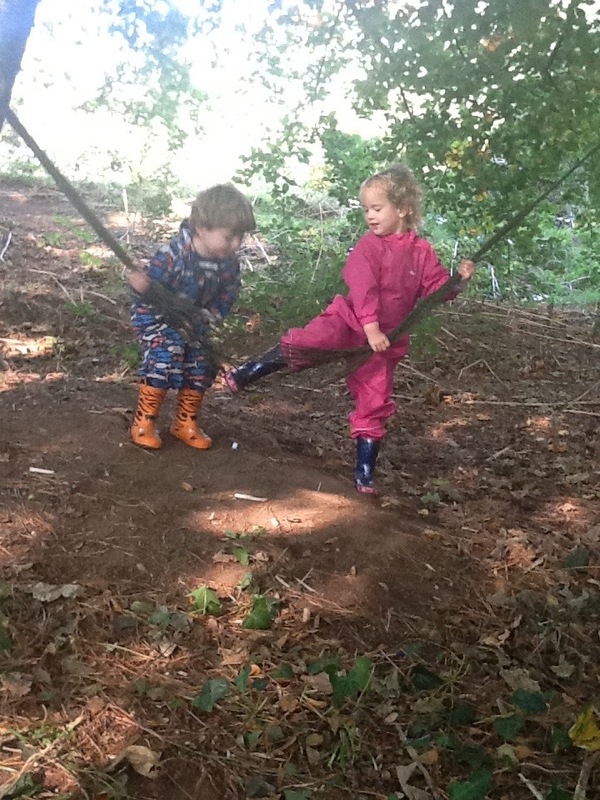 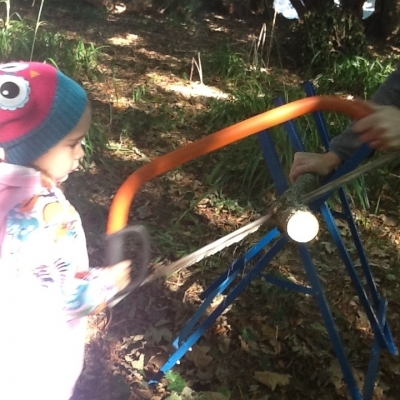 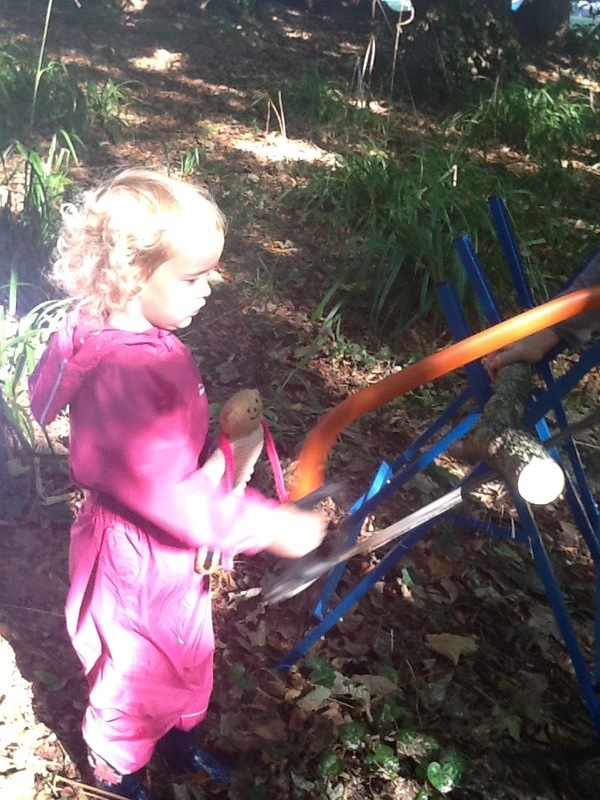 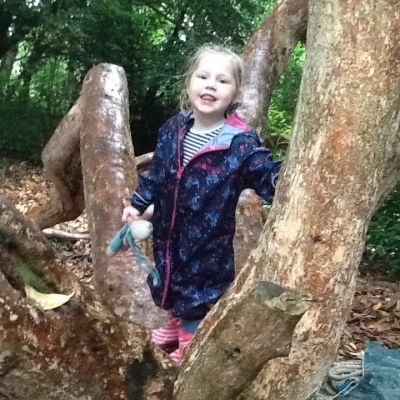 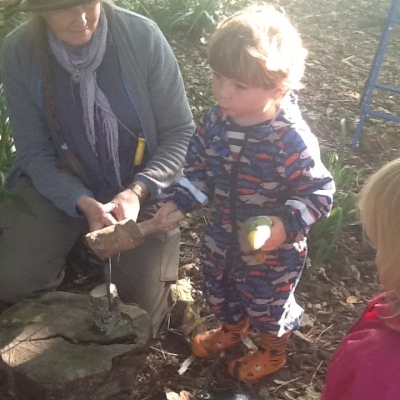 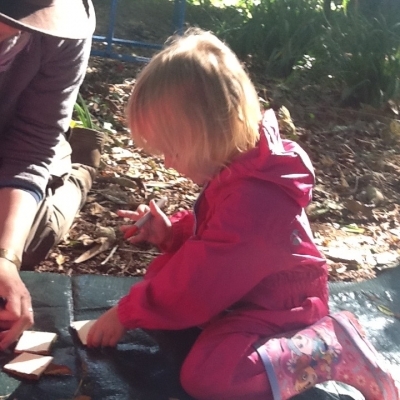 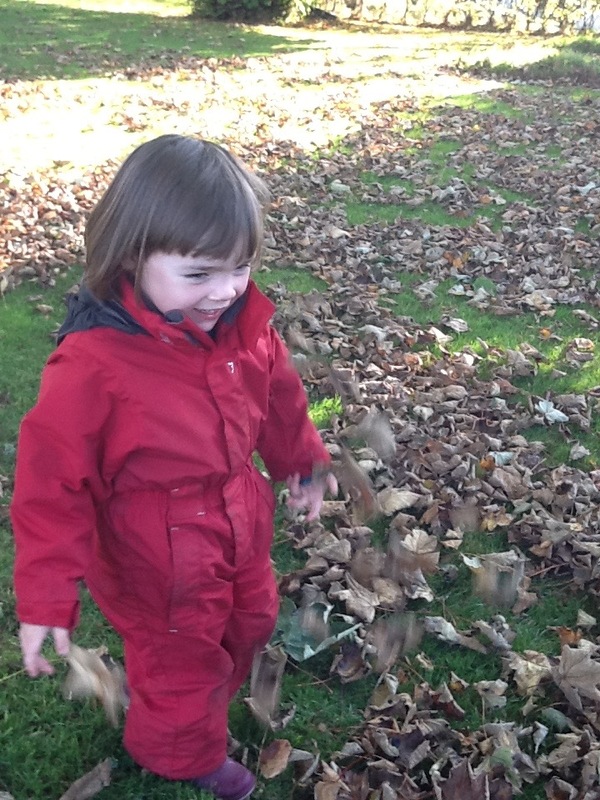 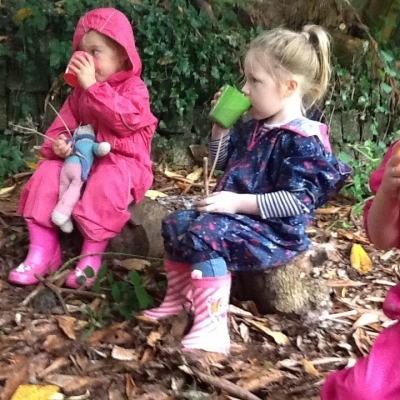 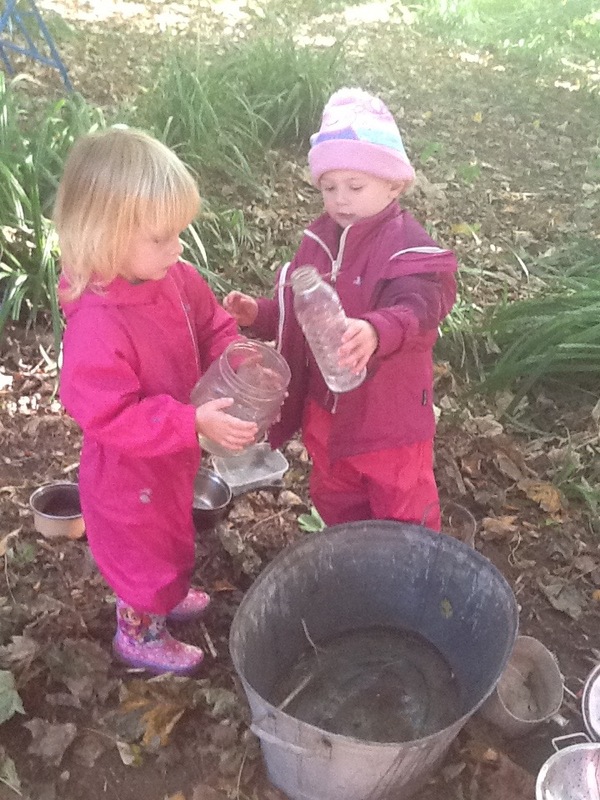 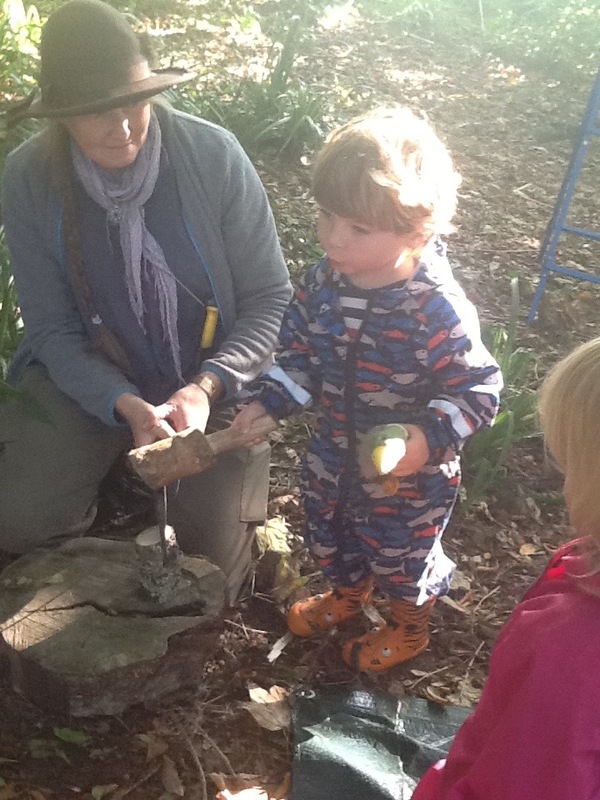 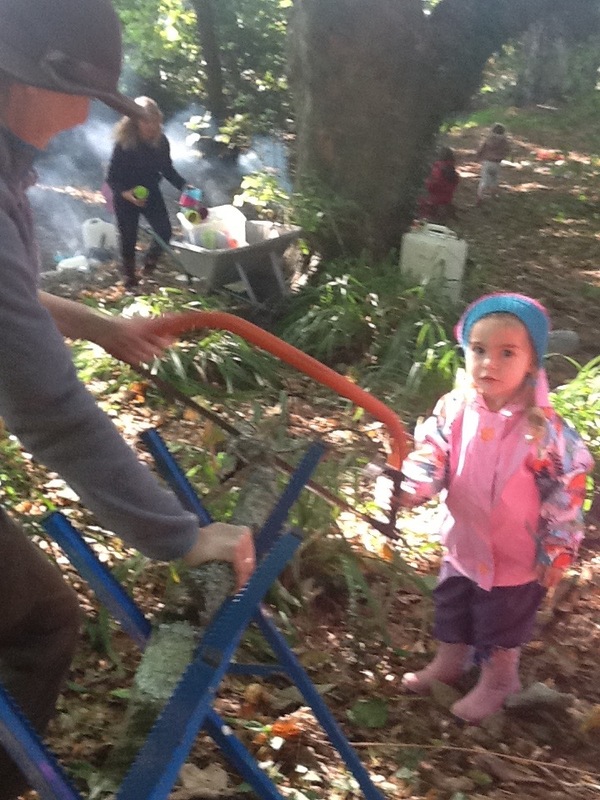 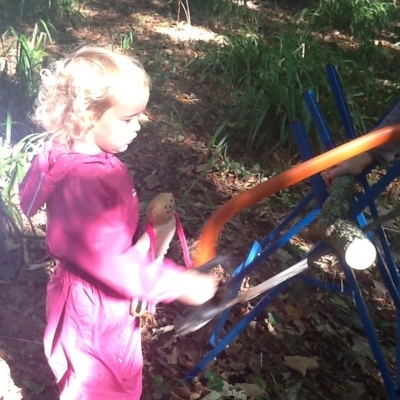 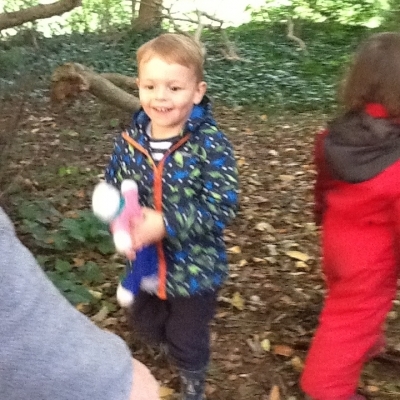 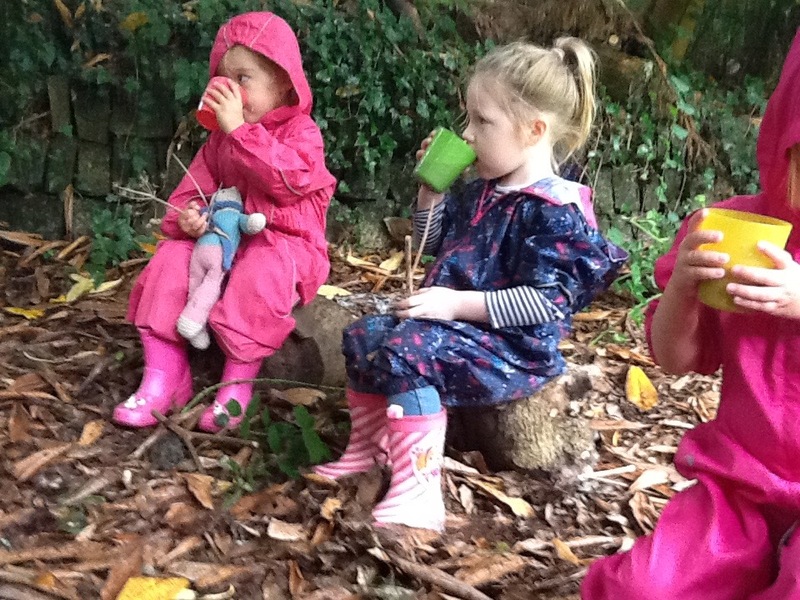 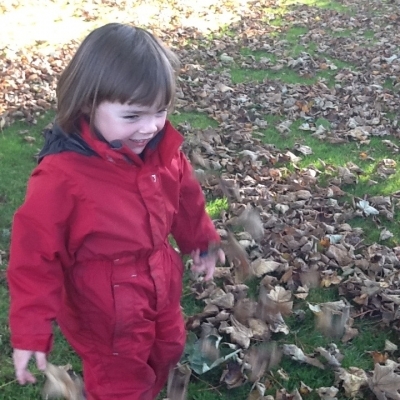 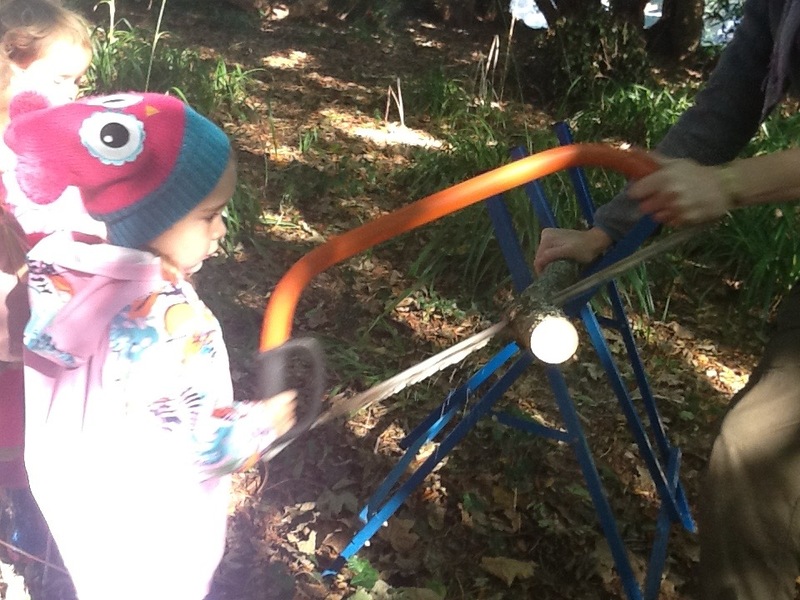 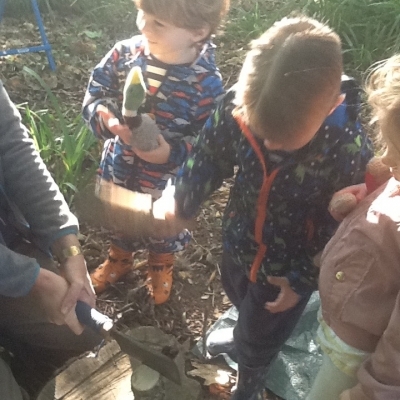 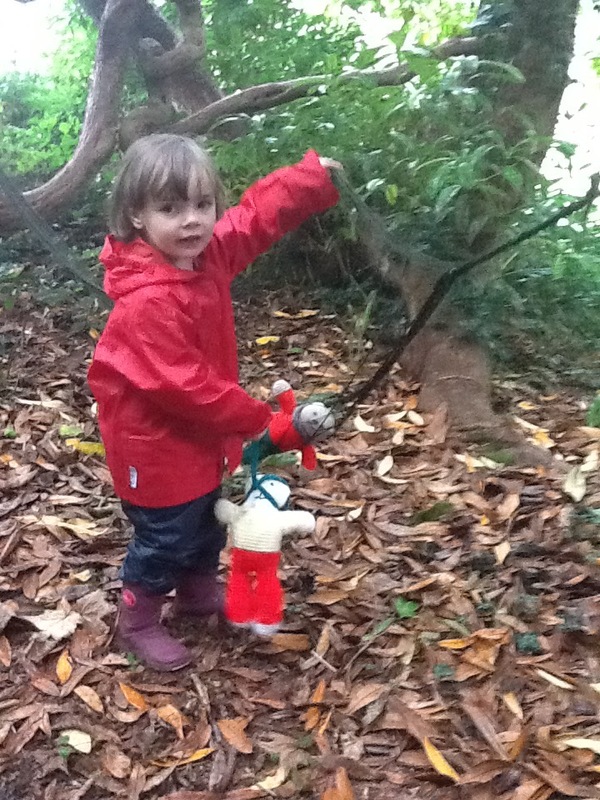 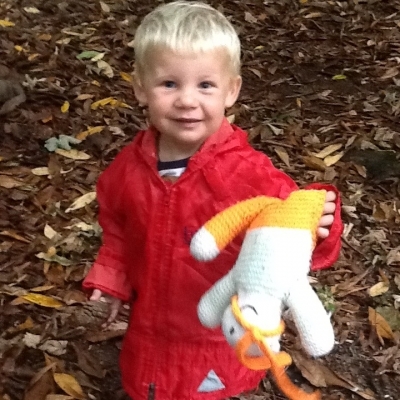 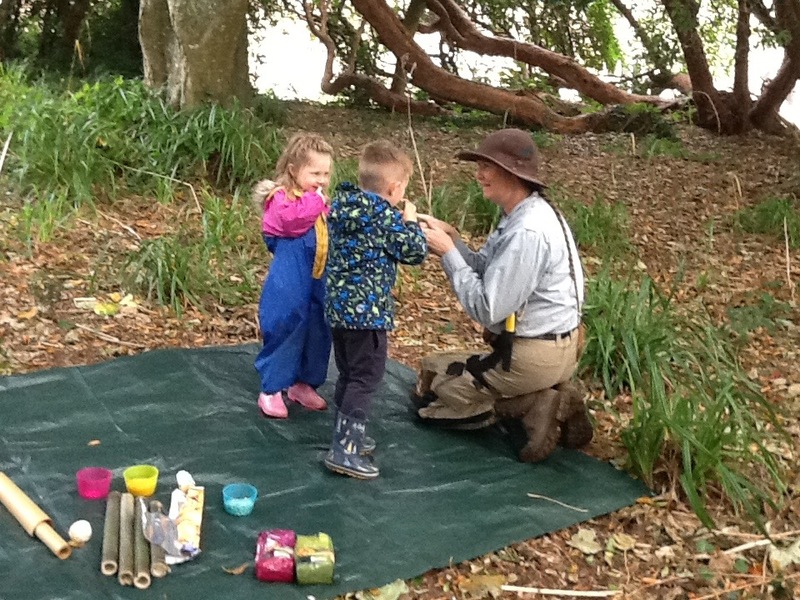 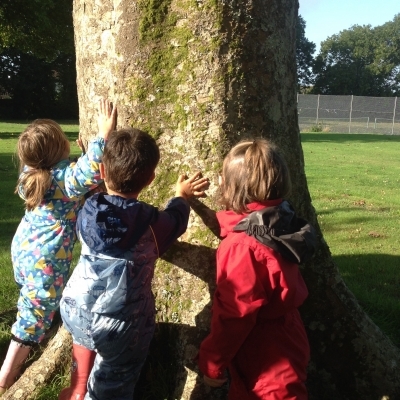 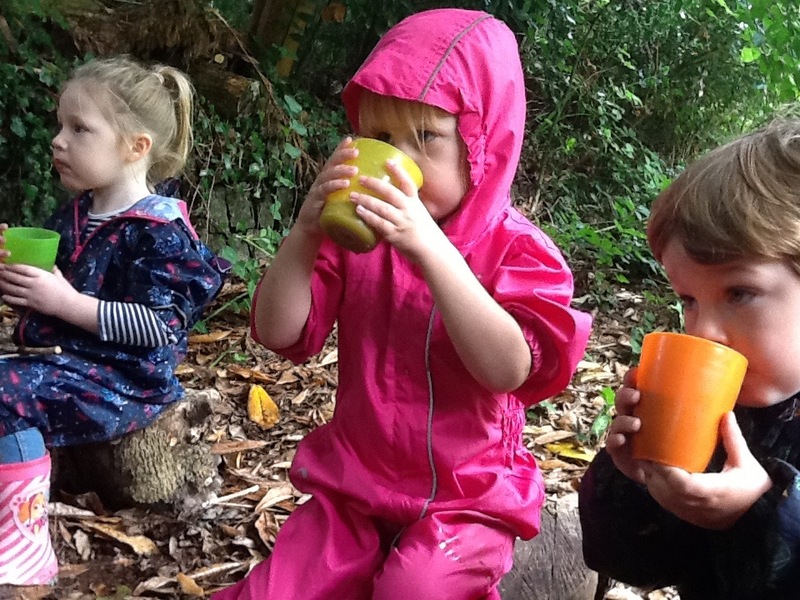 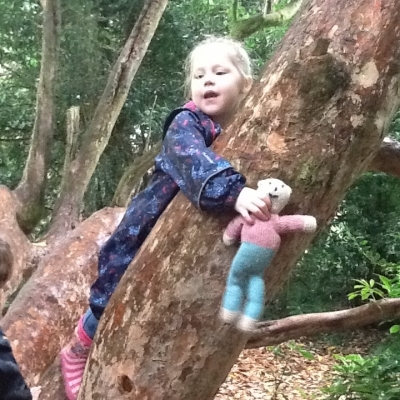 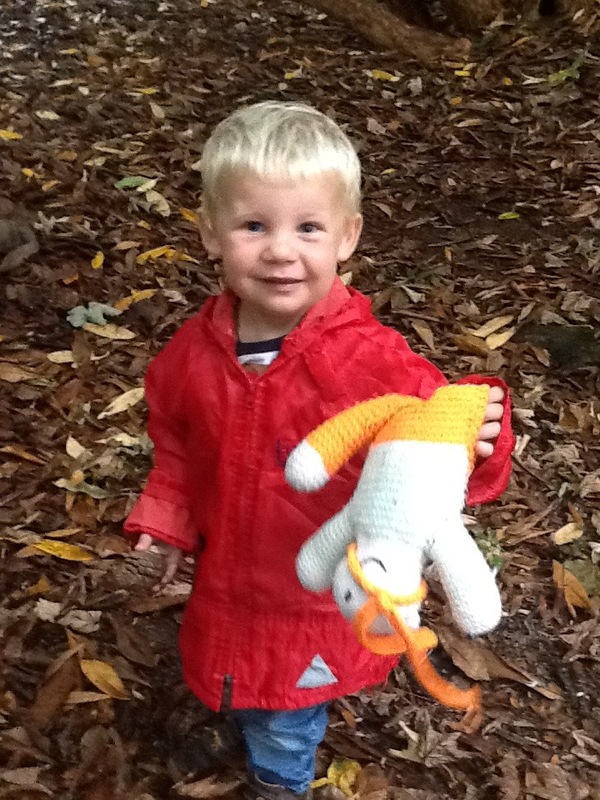 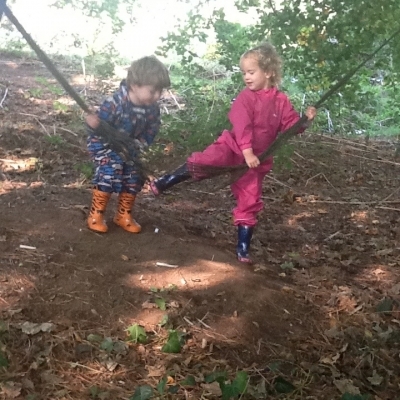 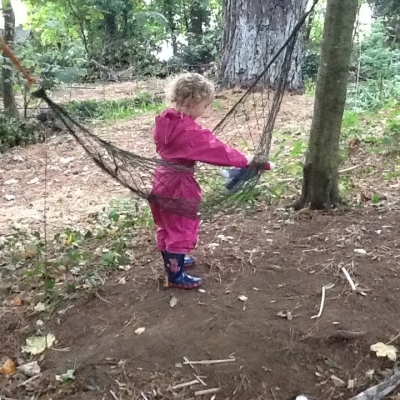 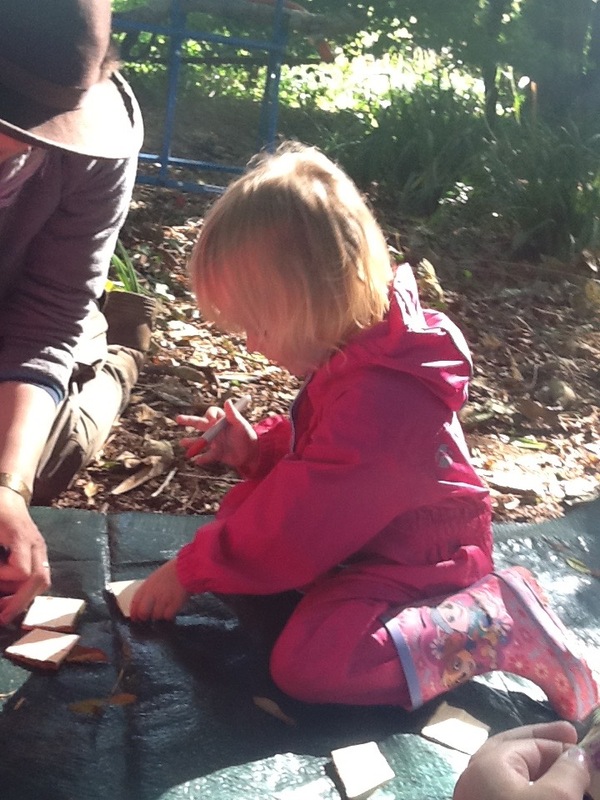 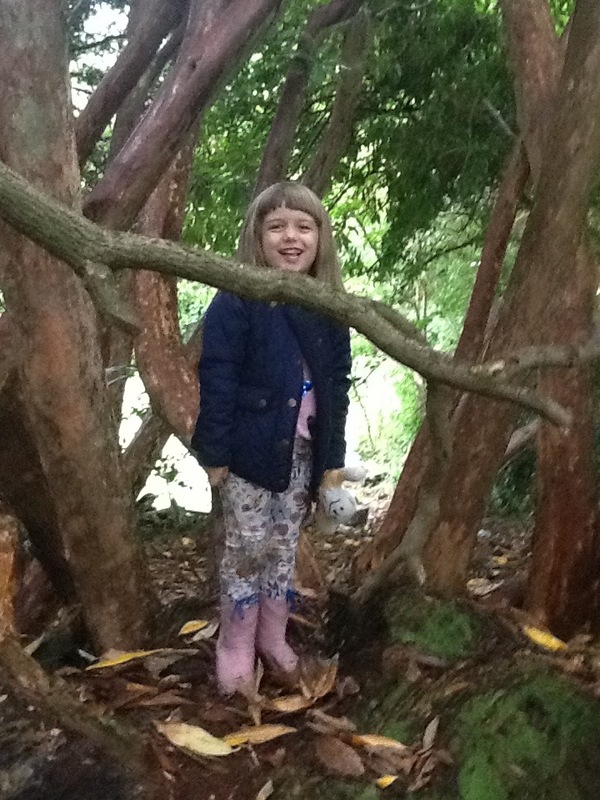 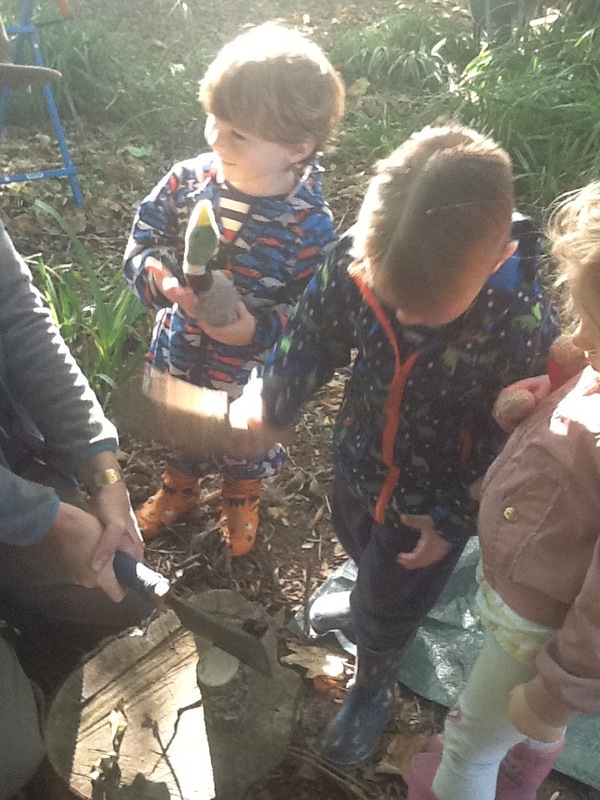 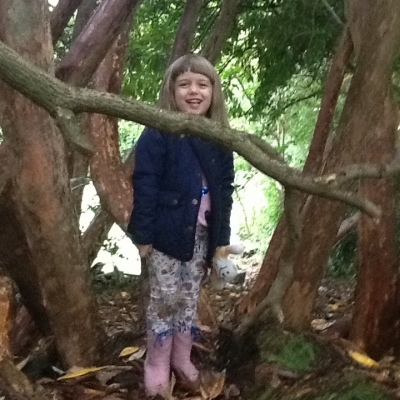 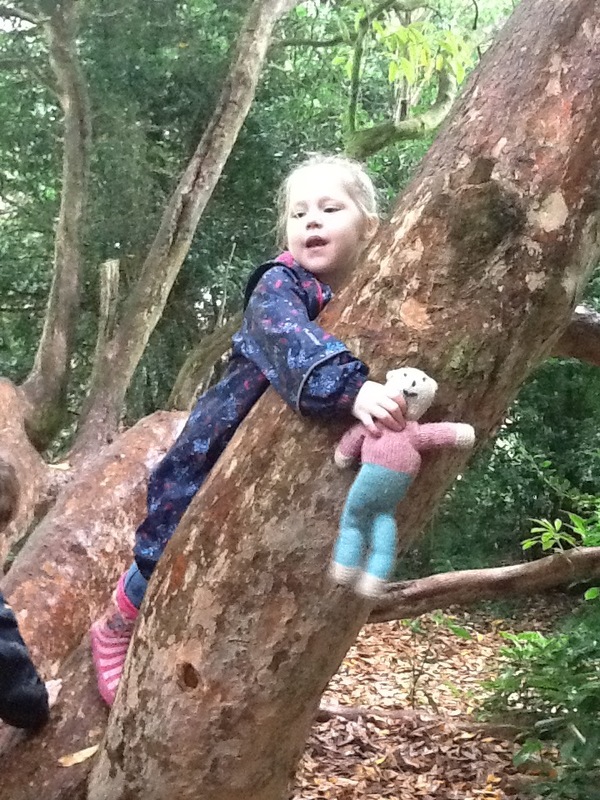 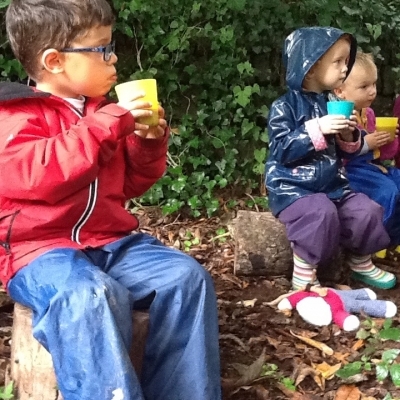 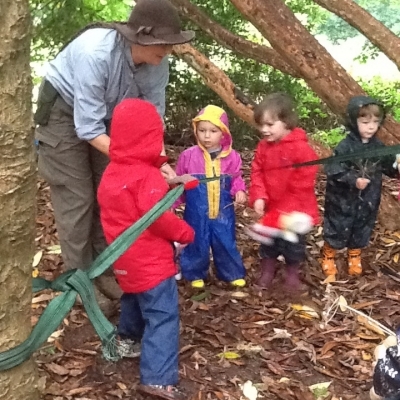 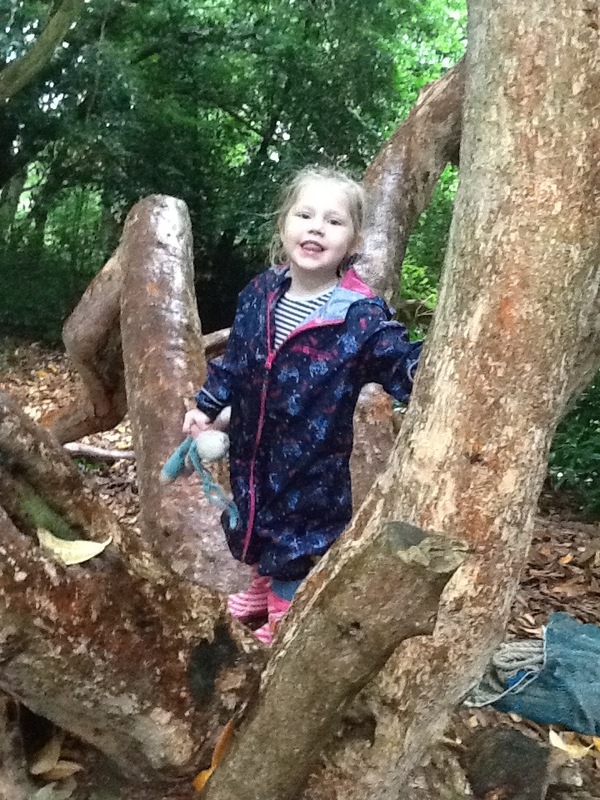 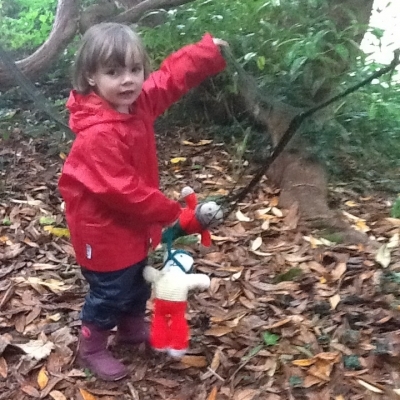 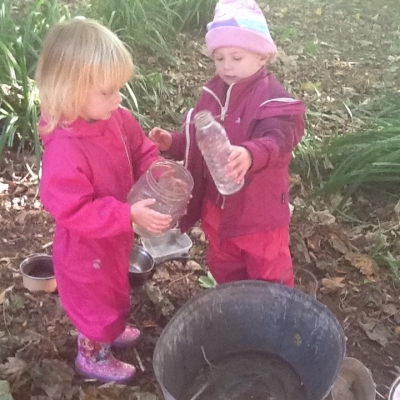 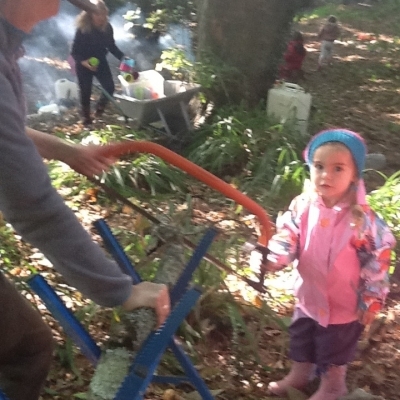 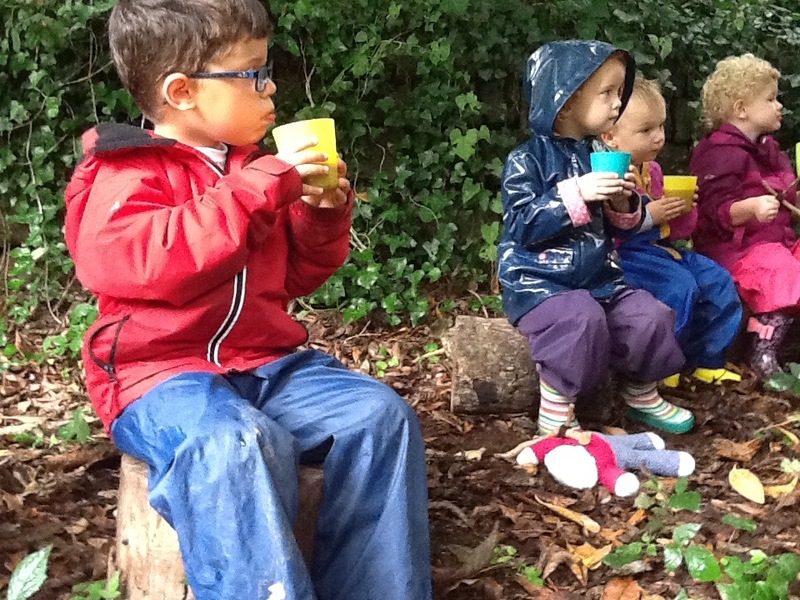 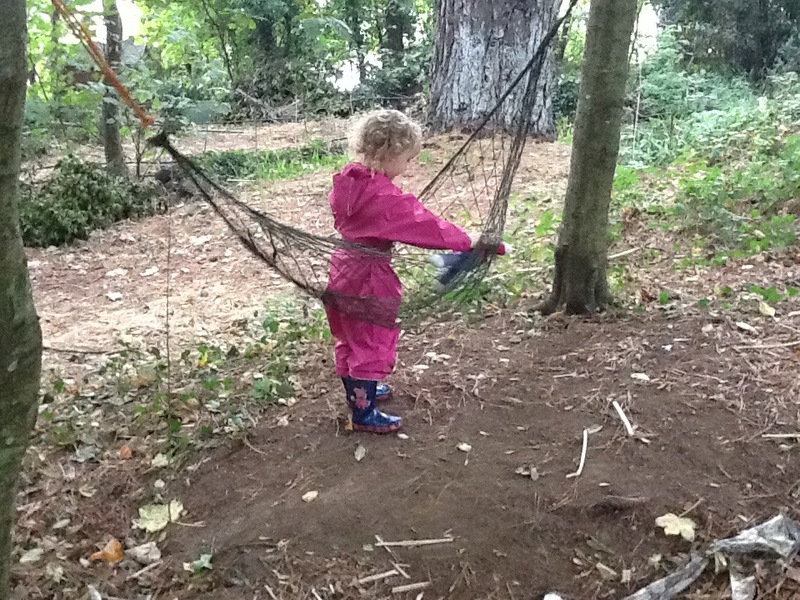 Every week there are a range of activities on offer in the forest school area such as the teddy catapult – the hammock for children or teddies and the mud kitchen. 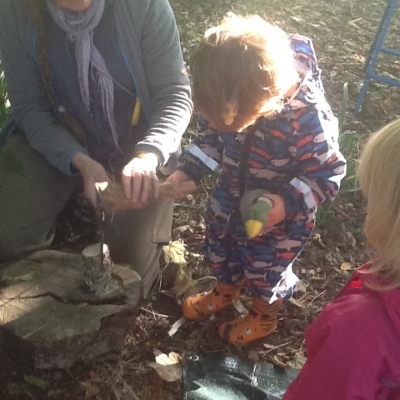 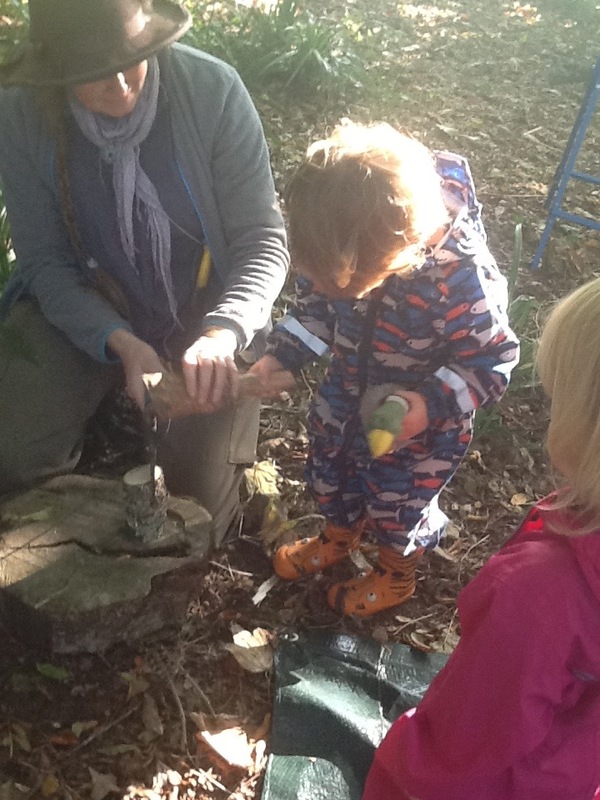 Using a saw to chop wood stumps and then a wooden mallet and axe to cut the wood further to create little wooden chairs of different sizes for Goldilocks and the 3 bears. 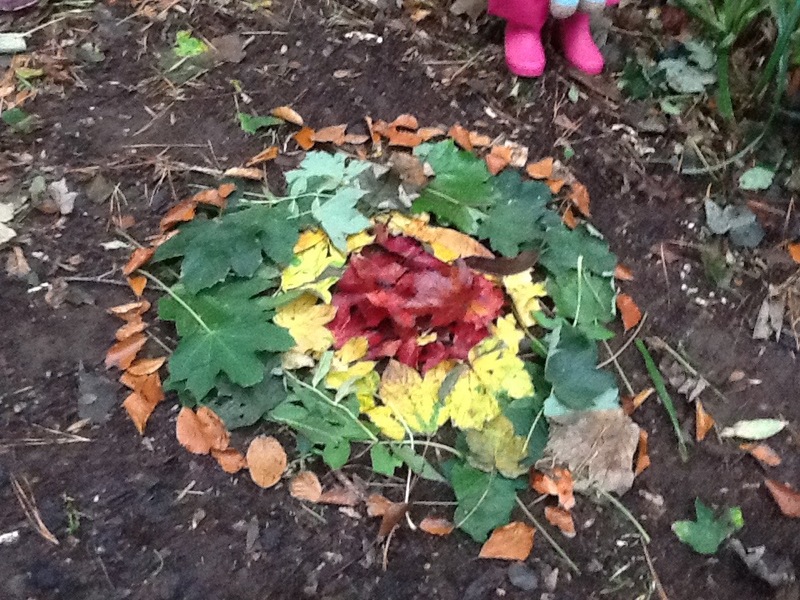 Creating an autumn mandala with different coloured leaves. 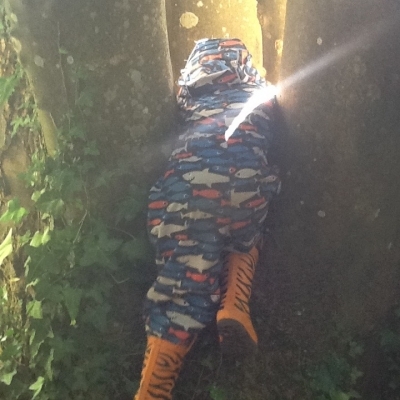 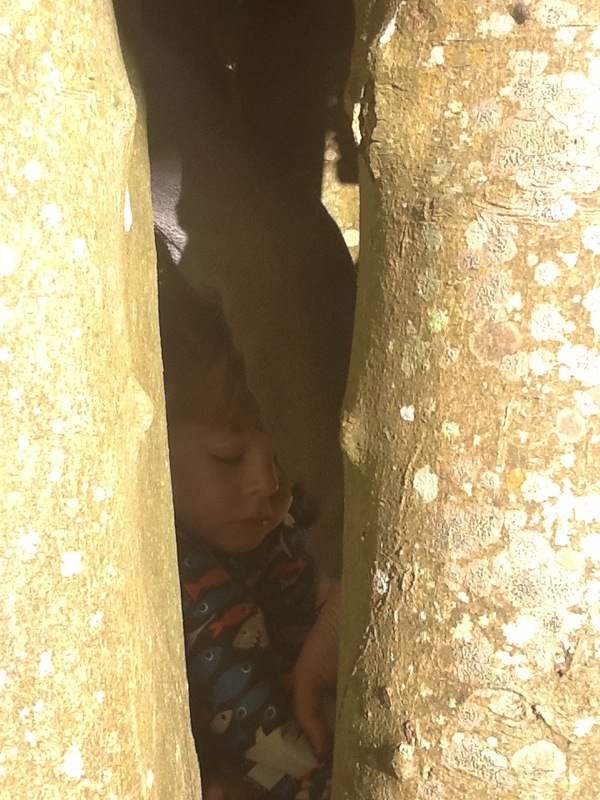 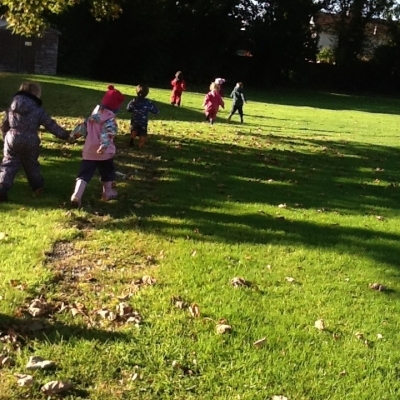 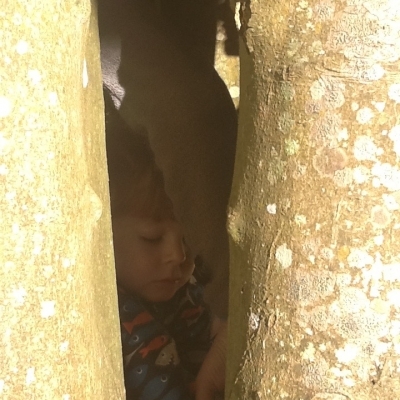 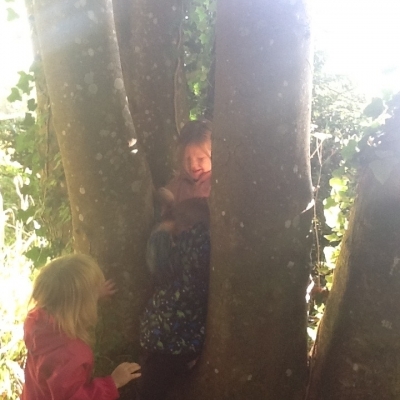 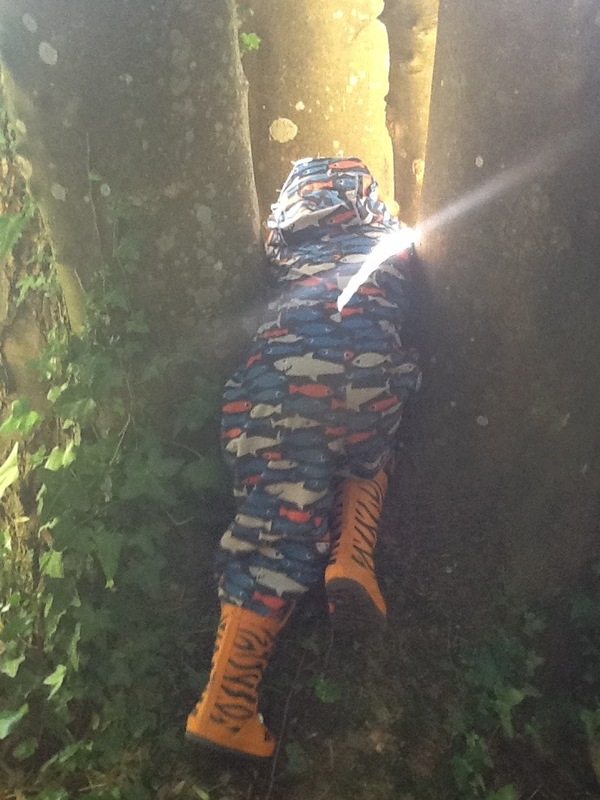 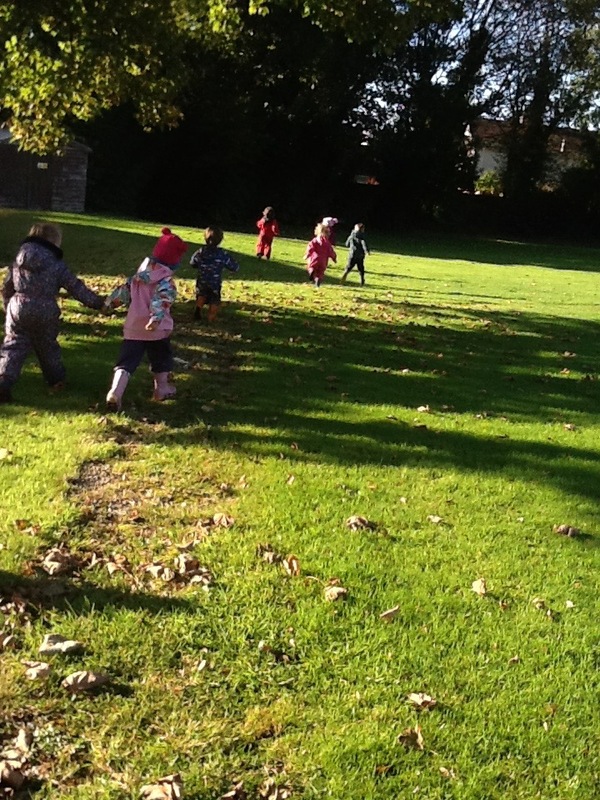 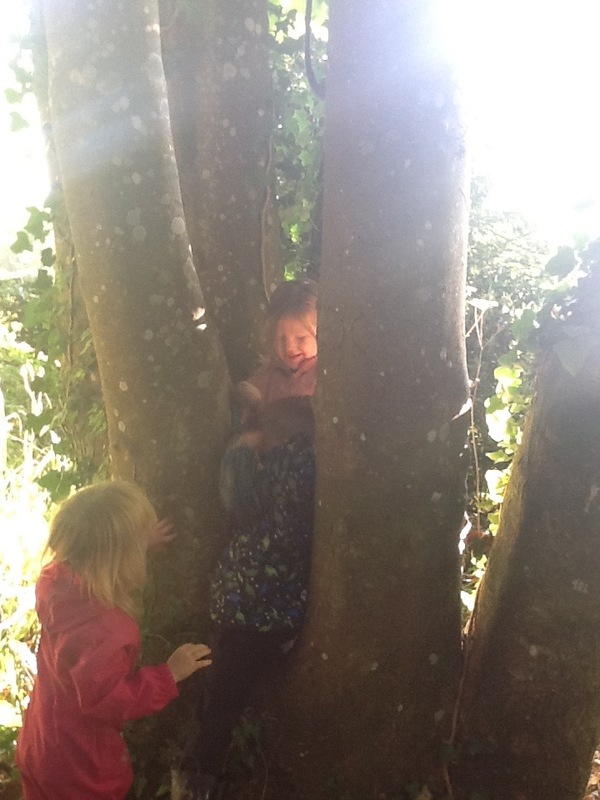 Hide and seek – normal hide and seek, hiding the owl and searching for it with hotter and colder directions and hide and seek with singing songs to listen for eachother. 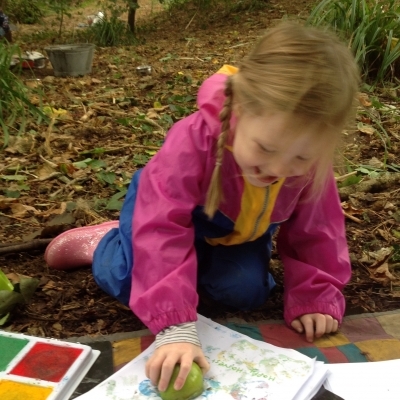 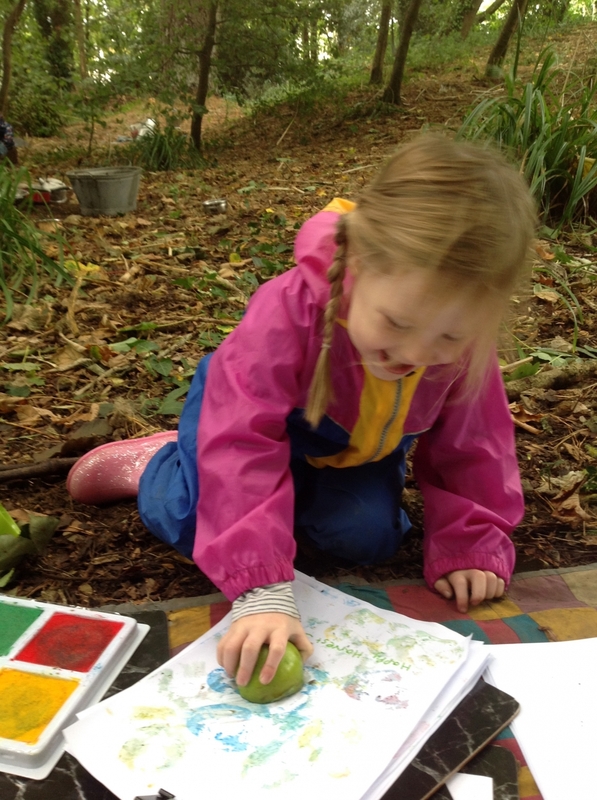 Apple week the children discovered where apples come from and printed painting with apples, using the apple press to make apple juice and made apple crumble on the fire. 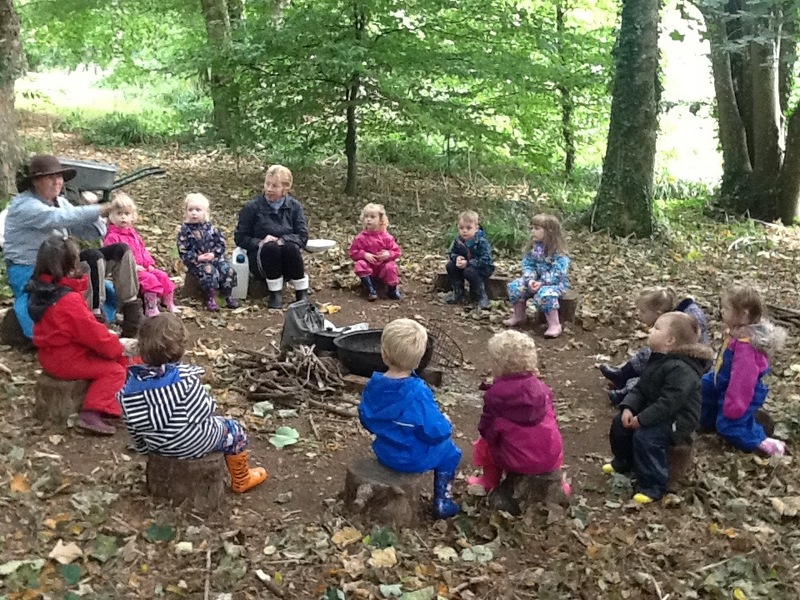 Stick man week – they read the story together in a circle around the fire and then searched for sticks to create their own stick men. 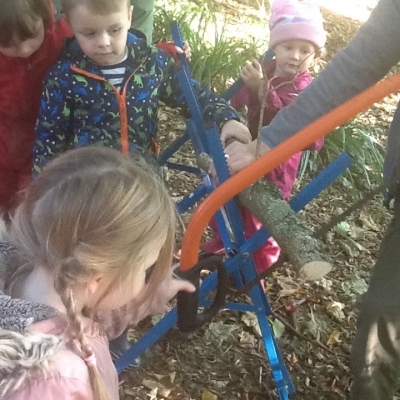 The children collected large sticks and used hay to stuff socks to create hobby horse heads and attached string to create the bride and reins. 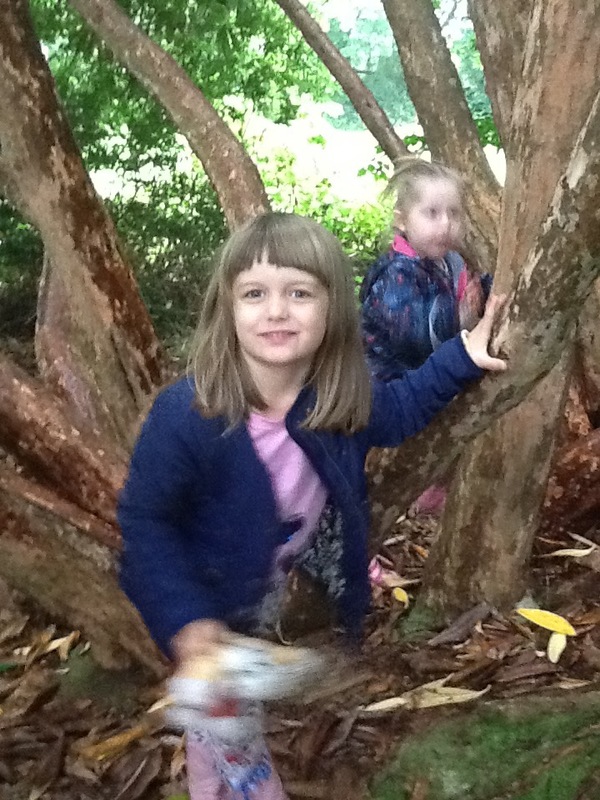 They also made horse figures out of willows. 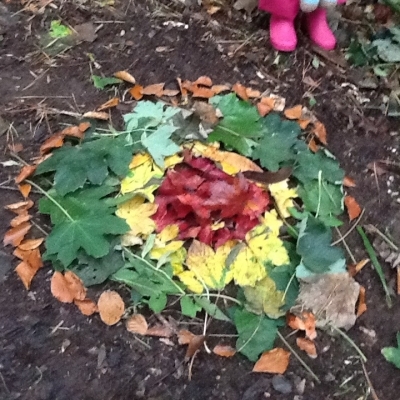 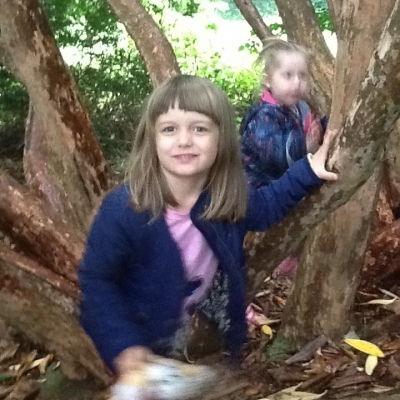 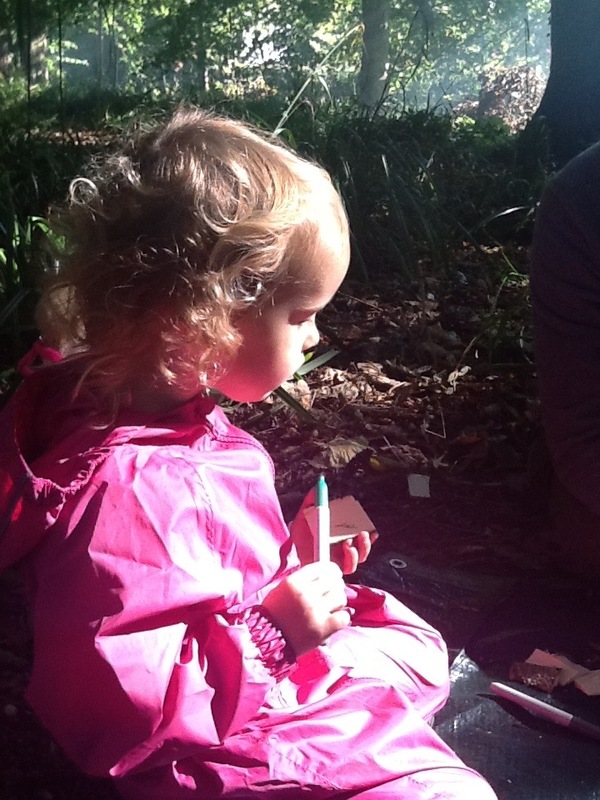 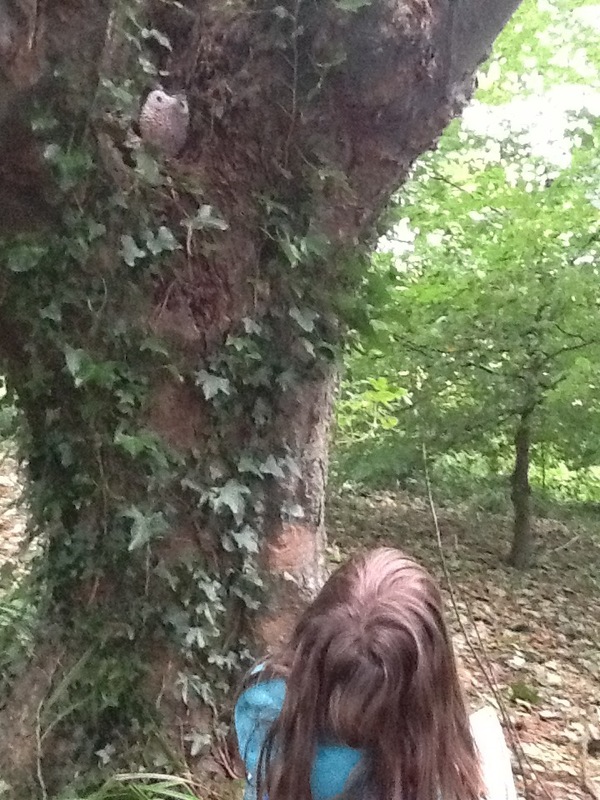 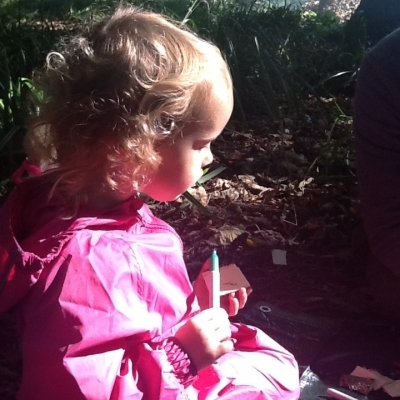 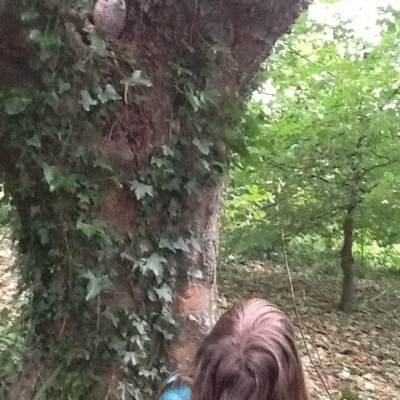 The children have used the saws to create fairy doors and used colours to decorate them. 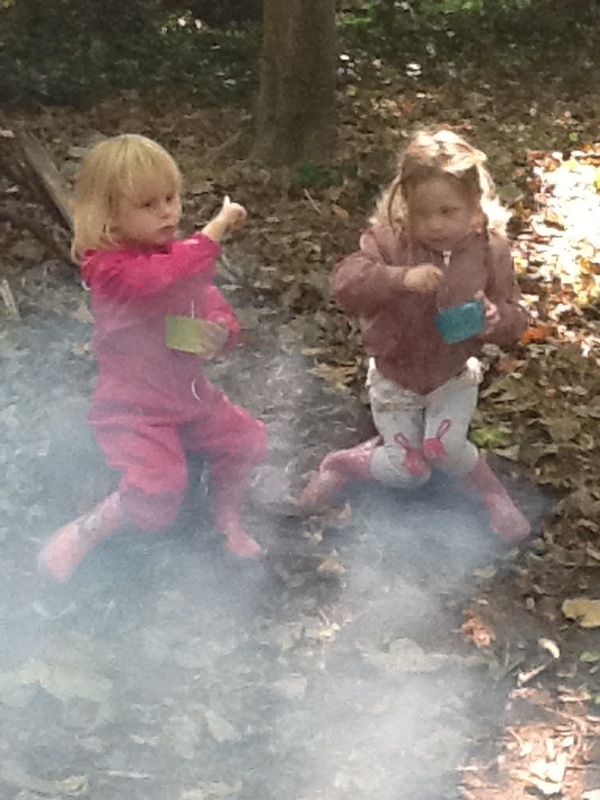 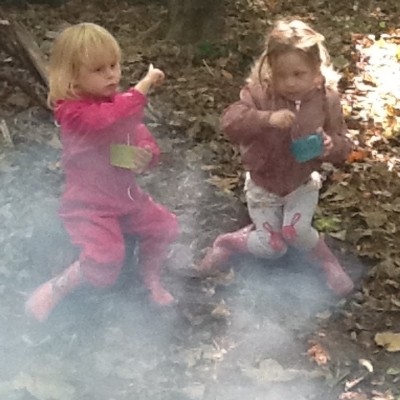 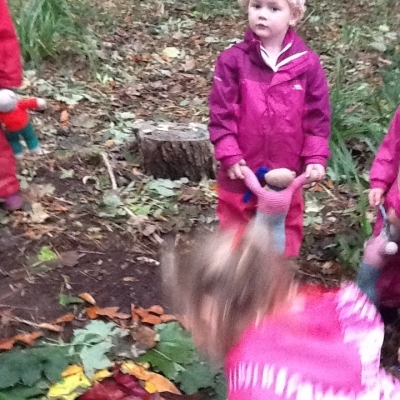 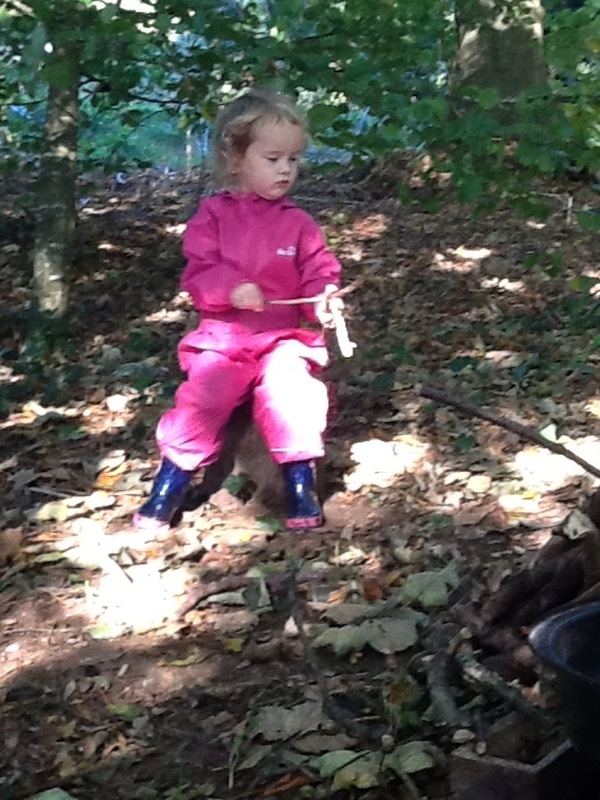 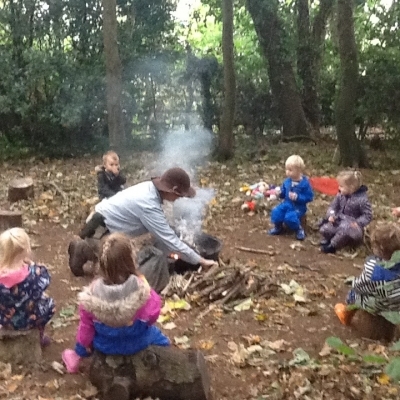 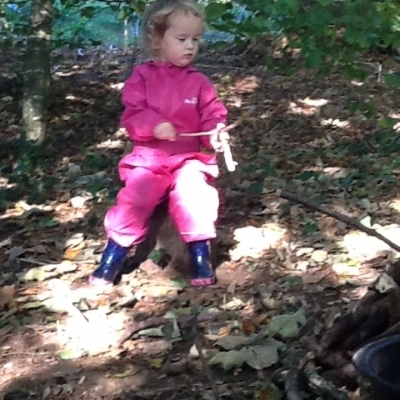 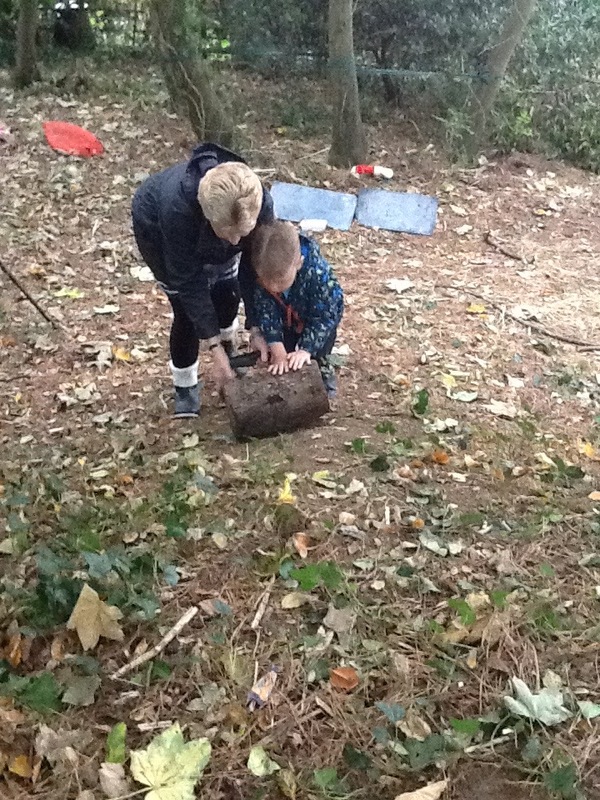 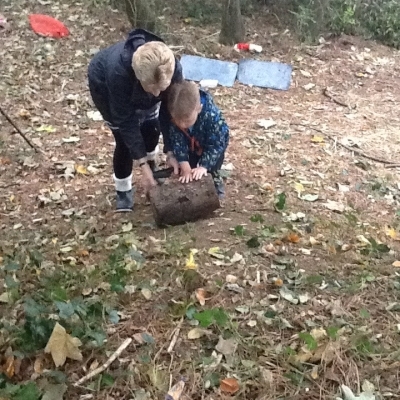 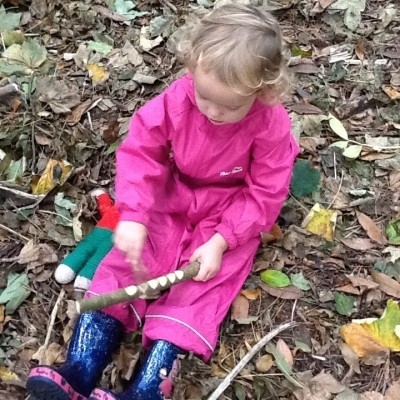 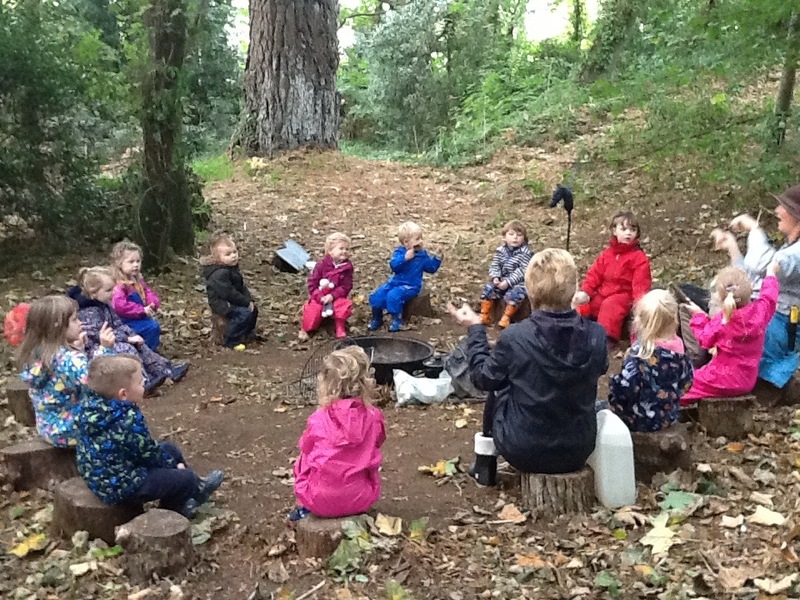 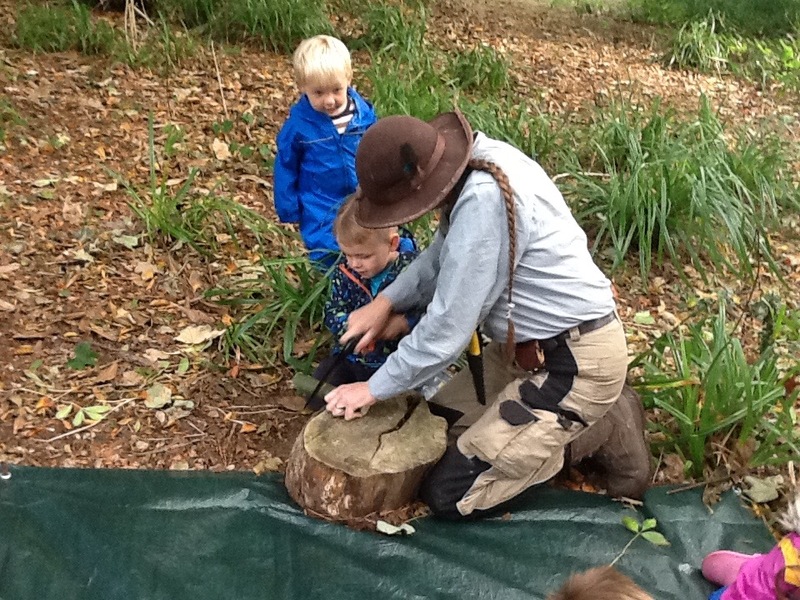 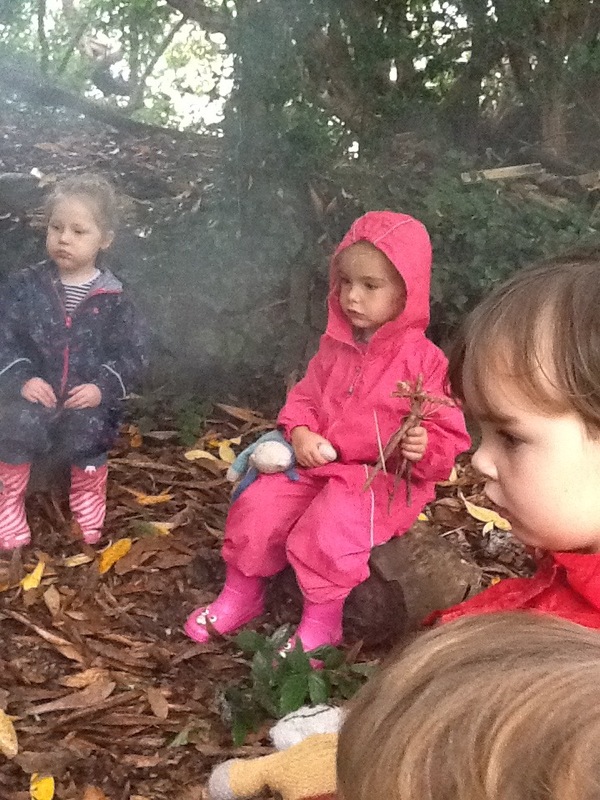 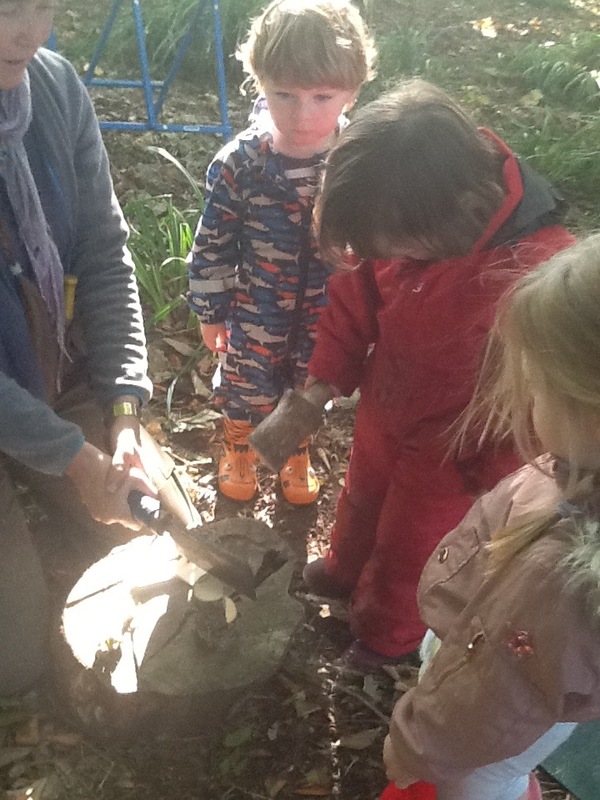 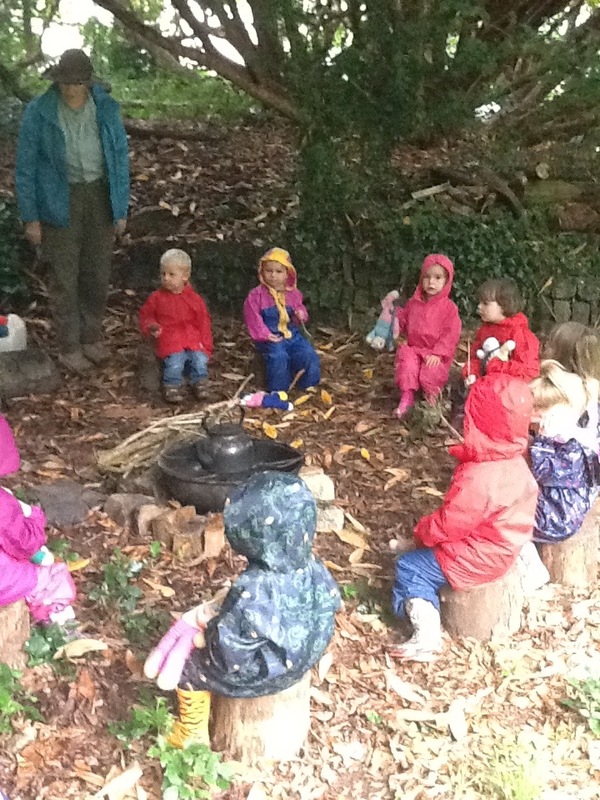 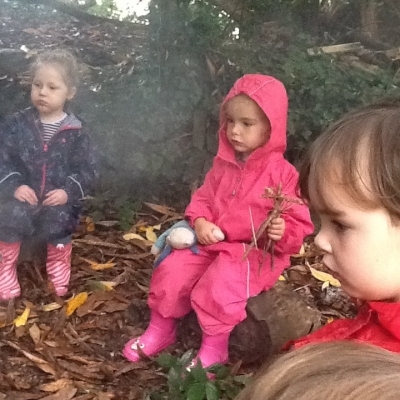 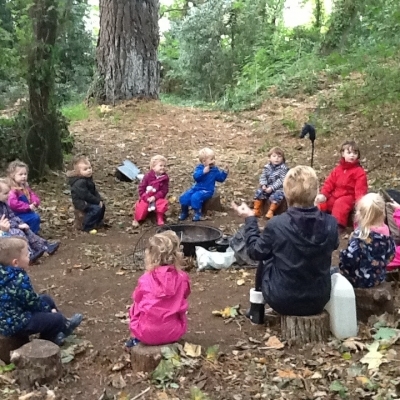 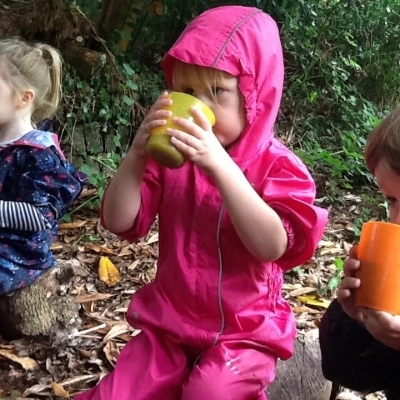 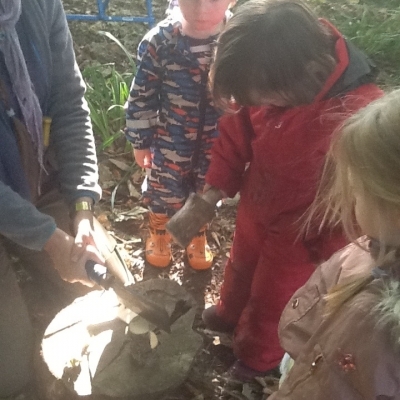 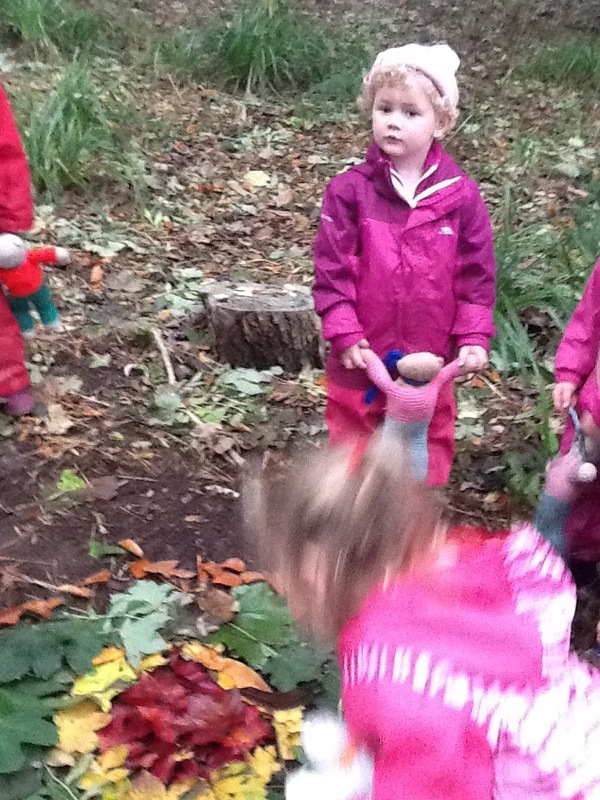 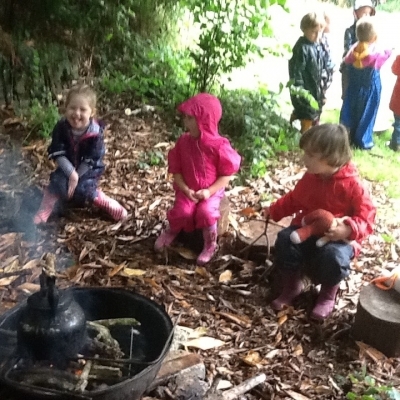 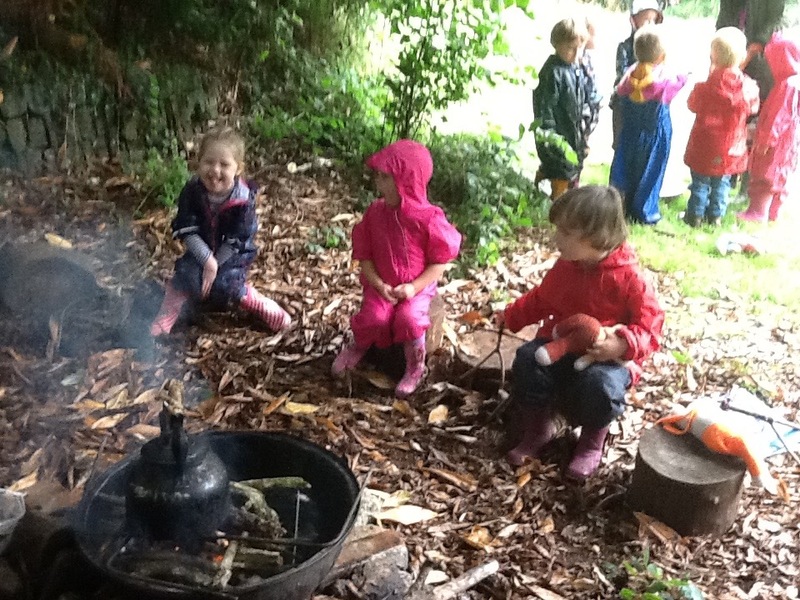 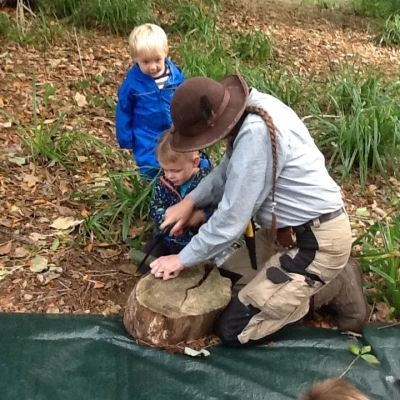 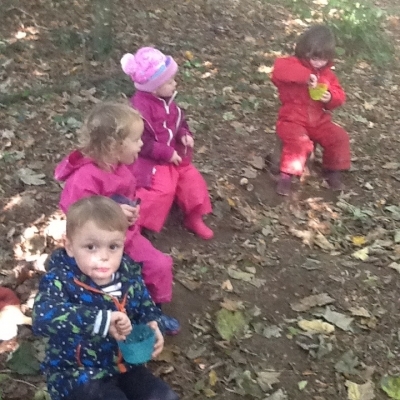 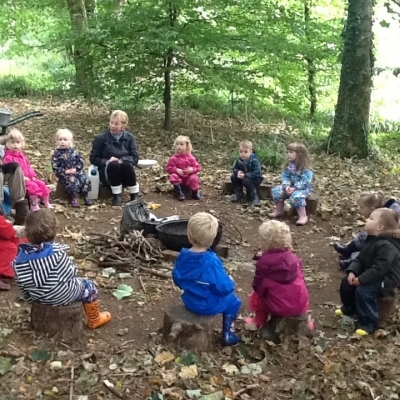 The children have fully engaged with the forest school sessions, shows fantastic listening, independence and thoroughly enjoy exploring the outdoor activities and have developed their understanding of the fire circle and the safety rules that go with it showing respect for the lit fire.